Limit 1 per person, per transaction and per table. Valid toward any menu items. Dine-in or carry-out only. Promotional value expires 30 days after purchase. Treat Dad to his own fiesta this Father's Day with 50% off Mexican cuisine from Taqueria Rancho Alegre in Roselle ($30 value). 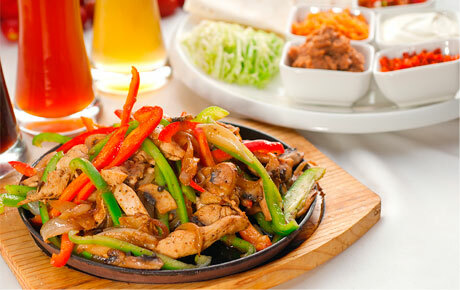 This restaurant offers exquisite Mexican flavors at affordable prices. Taqueria Rancho Alegre has been in business for just two years but has already made a name for itself as a popular stop for delicious Mexican food. The Fernandez family opened the restaurant to provide their authentic recipes to the public. Your dad can choose from a delightful array of menu choices including favorites like steak fajitas, chiles rellenos and delicious deep-fried chimichangas. If Dad has a larger appetite, he can opt for a giant burrito filled with beans, cheese, meat and all the fixings.